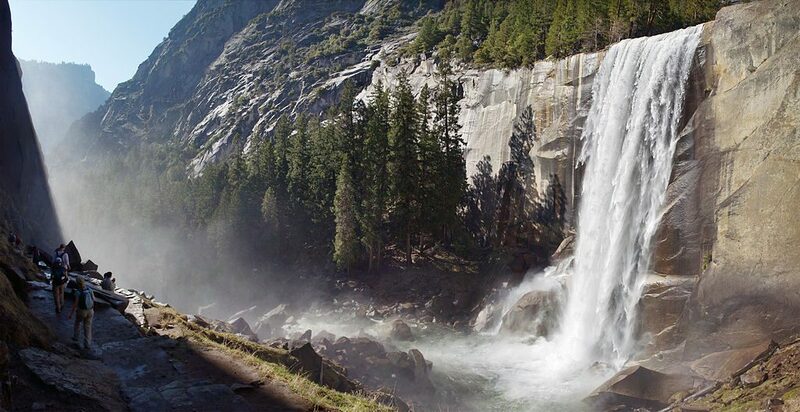 When you stay at Yosemite Lakes RV Campground, you’ll experience an authentic outdoor vacation just outside of the iconic Yosemite National Park. Yosemite Lakes RV Campground is 400 acres of majestic natural settings with plenty of woods, water, and mountains to explore. The South Fork of the Tuolumne River runs through the campground and is the perfect spot for swimming, fishing, and even panning for gold! One of the best ways to experience the adventurous and rugged lifestyle of Yosemite is to stay in a yurt. 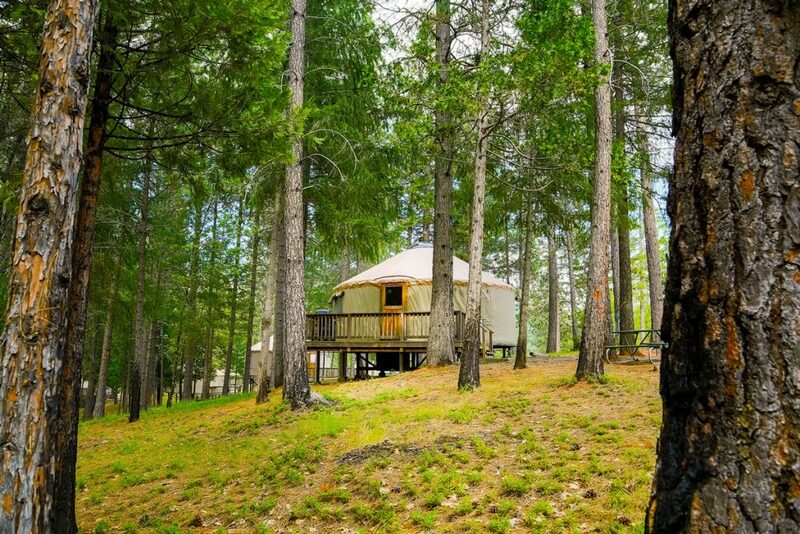 Yosemite Lakes RV Campground offers three different styles of yurts for guests. So whether you have one person or five people in your group, there is a yurt for you! The River Yurts sleep five people and have outstanding views of the South Fork of the Tuolumne River. Outfitted with a queen futon, a bunk bed, and a private bathroom and shower, these yurts offer the feeling of being immersed in nature without sacrificing the comforts of home. River Yurts also include gas BBQ grills on the deck, fire rings, and picnic tables. The Hillside Yurts are set amidst a backdrop of towering trees and comfortably sleep four people in a queen-size bed and double futon. This yurt feels particularly spacious with the inclusion of a three-piece bathroom suite with a shower and a kitchenette that is fully furnished with an apartment sized refrigerator, two-burner gas stove top, and a dining table that seats four. Outside, a porch with a gas grill and nearby picnic table and fire ring will have you wanting to grill out every night! The Meadow Yurts at Yosemite are just a stone’s throw from the river and can sleep up to 5 people. Each one of our Meadow Yurts has a private bathroom with a shower, so you’ll always have an opportunity to clean up after a long day of adventure at Yosemite National Park! All bedding and linens are included in these yurts, which adds an extra convenience for weary travelers. BBQ grills, fire rings, and picnic tables are also included. Have a pet? Pets are welcome in these yurts for an additional fee. See our policies page for other information about pets in our rentals. Get inspired to stay with Petite Retreats today!